The Living Archives project at Bentilee has been made possible following a successful bid for Heritage Lottery funding by Partners in Creative Learning (PiCL). The summer-long programme is based at the St Stephen’s Community Church Youth Club. 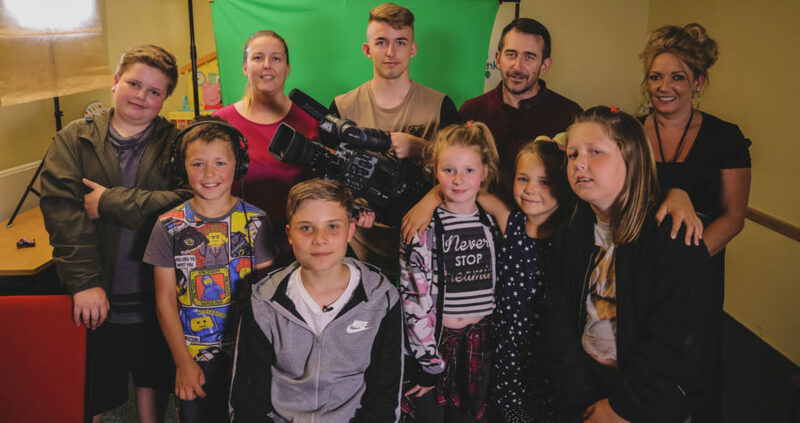 Erica Love, of PiCL, working in partnership with the Stoke-on-Trent City Archives service, has commissioned a team of six artists and creatives to work with the young people, including film makers, a photographer, a drama leader and a musician. The young people have played a leading role from the start, working with PiCL to choose the artists and planning the project’s overall direction. “The project has a dual purpose, the young people will explore their local history with the support of the artists and then stage a multi-media performance for the people of Bentilee,” said Erica. The summer-long project began when artists visited St Stephen’s to introduce themselves to youth group members and to start the creative process.